Myakka River and Kissimmee Prairie Preserve State Parks are protected by the state of Florida, as they are some of the last remaining dry prairies in the state of Florida. As many of my art patrons have stated, “I’m glad someone has photographed these places before they disappear”. 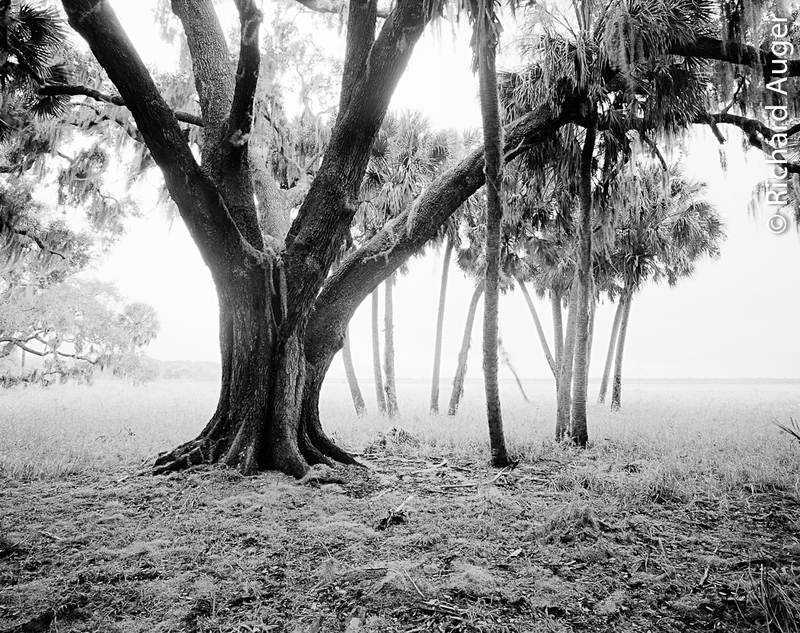 Myakka River State Park is a place that truly inspires me as an artist. I spend nearly 10 hours shooting on my second visit hear, and about 8 rolls of film. The park, and its ecosystem, are quite magnificent. I hope they remain protected for people to enjoy long beyond the life of my photographs. Kodak Tmax 100. Mamiya 7II, 43mm. Epson V700 Scanner. B+W Yellow Filter. Photo by Richard Auger. 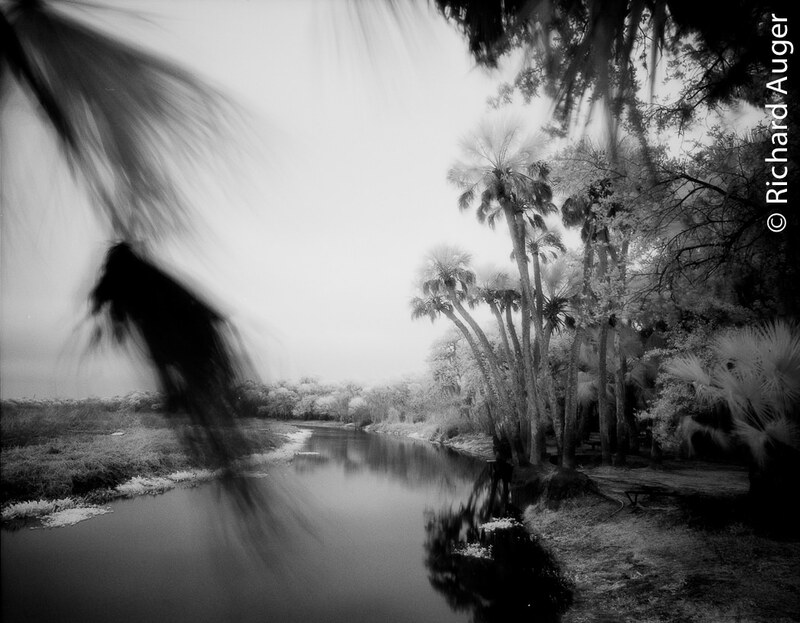 I first visited Myakka River State Park back in the Summer of 2010 as part of my Infinity Series. This place burned into my memory as one of the most spectacular parts of southwest Florida. Most visitors of the park would seem to agree, driving only 5-10 miles an hour to watch birds and the changing landscape. With a thunderstorm approaching, I only managed to shoot two photographs that day. I knew that I would eventually return, but not until some serious soul-searching and decisions about where I was going as an artist. After an exhausting art festival season starting September 2010, I was ready to get back to making new artwork before the next round of exhibitions. Very little of my time lately has been shooting; a mix of running the business, building hand-made frames, printing, editing, marketing, and traveling. I was beginning to burn somewhat. But I realize now that it wasn’t all bad – I was finally forced to reflect on my work and conceptualize my next series, as well as figure out my strengths and weaknesses to progress as an artist. The artistic process is not something that can be forced; nor it is a continuous process either, but rather a series of peaks, with periods of rest in-between. This summer (2011), I’ll take some time off to shoot; this year, I’ve decided to begin a refocus on the Florida waterways, instead of the wilderness. While I’ve always loved to shoot just the Florida woods on their own, the trees only show a limited view of Florida’s ecosystem. First, I’ll be traveling the state scouting for good spots to shoot later in the summertime, which started with Myakka River State Park in February 2011. With the cold weather this time of year, most of the greenery fades to shades of brown. During the winter in Florida, however, many waterways have beautiful morning fog. Arriving at the crack of dawn, Myakka had a different feeling than my last visit; soft, fast moving clouds, with a warm morning light; crisp, chilly air. Best of all, there were no misquotes and relatively low humidity. At last, I have began a new series, codenamed ‘Florida 67’. Shot entirely in 6×7 black and white and infrared films, this series will focus on waterways in the original power of my wilderness Celestia Series. 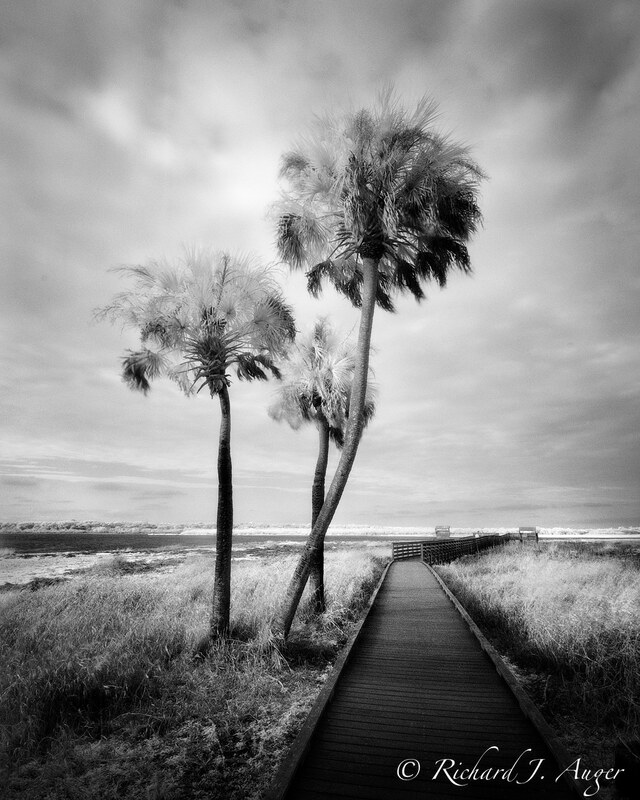 The photos below are shot with Efke Auro IR820 120 Film, as well as KodakTMAX 100. Filters used: 1.8 B+W ND Filter, and a Hoya R72 Infrared Filter.